Clinica Medrano`s location in the beautiful city of Algeciras on Spain`s Mediterranean coast offers infertility treatment in Spain with a personalised and friendly touch at a great location. This Spanish infertility clinic provides a range of infertility and assisted reproduction techniques, including IVF and ICSI. Clinica Sandalf in Benalmadena on Spain’s Costa de Sol is an international private outpatient clinic specialising in orthopaedic surgery, trauma surgery, physiotherapy, osteopathy, massage therapy, urology, ophthalmology and counselling. Treating patients from across Europe, the clinic offers rapid access to high quality affordable specialist treatments such as hip and knee replacement, diagnosis and treatment of injuries, joint arthroscopy, management of neck and back issues and physical rehabilitation. Clinica Vistahermosa in Alicante, Spain, have been fertility and genetics experts for more than 30 years. An ISO accredited highly sophisticated clinic, with 10 Units around Spain, having its headquarters in Alicante, they boast a 90% success rate with comprehensive treatments personalised for each patient's need. 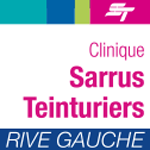 Established since 1990, Clinique Sarrus Teinturiers is a specialist private hospital, based in Toulouse, France. The hospital is recognised respectively throughout France for their superior maternity services, in addition to also specialising in paediatrics, gynaecology, cancer treatments, plastic surgery and a wide range of other medical specialities. Cyprus Crown IVF is a leading IVF clinic in North Cyprus. Founded and run by globally recognised and heavily sought-after physician Dr Halil Ibrahim Tekin, the clinic boasts the most modern facilities and techniques, ensuring that their patients get highest possible chance of success. With six resorts in Hungary, including two in Budapest, Danubius Health Spa Resorts offer natural spa medicine treatments for rheumatic and arthritic conditions, musculoskeletal injuries, circulatory problems, respiratory conditions, kidney and urinary tract issues and skin conditions. With a group of eight modern dental clinics, seven in Bucharest and one in Timisoara, DENT ESTET is Romania’s leading provider of dental services. Staffed by highly trained dentists and equipped with the very latest equipment, the ISO accredited clinics provide a comprehensive range of affordable treatments for adults and children, including aesthetic dentistry, dental implants, orthodontics, oral surgery, prosthodontics, endodontics and facial aesthetics. Located in the centre of Izmir on Turkey’s Aegean coast, DENTAGLOBAL is a state-of-the-art dental hospital offering and comprehensive range of routine and cosmetic dental procedures, including dental implants, All on Four, crowns and bridges, dental veneers, orthodontic treatment and teeth whitening, from an experienced and friendly multi-disciplinary team. The practice collaborates with dentists in London and Rotterdam to provide affordable dentistry with the added peace of mind of consultation and aftercare at home. Dental Care Croatia has established itself as one of the leading centres of dental medicine in Split, Croatia. Their ultimate goal is to provide the highest standard of dental care, whilst paying close attention to detail so that their patients are left completely satisfied. Founded Dr Marina A Ježina, Dental Care Croatia offers a comprehensive range of dental services ranging from implantology and orthodontics to conservative treatment, periodontology and oral surgery. Dental Clinic Dr Popovic is a family dental practice in Belgrade, Serbia offering a full array of dental services, with special focus and expertise on implantology and prosthetics.